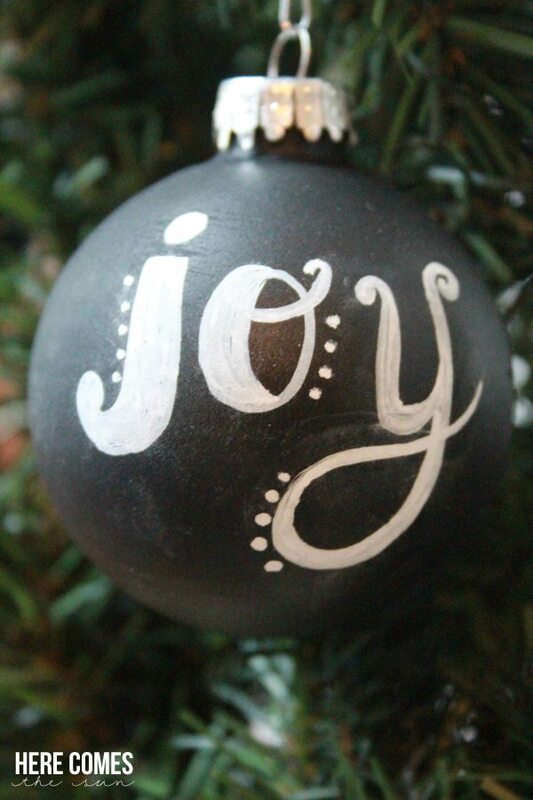 Hand Lettered Chalkboard Ornaments are fun to make and add a personal touch to your Christmas tree. The hand lettering trend has been around for a few years now and is still going strong. I never thought that I could create decent hand lettered art but it is not that hard. Take a look at my Christmas chalkboard art that I made recently. 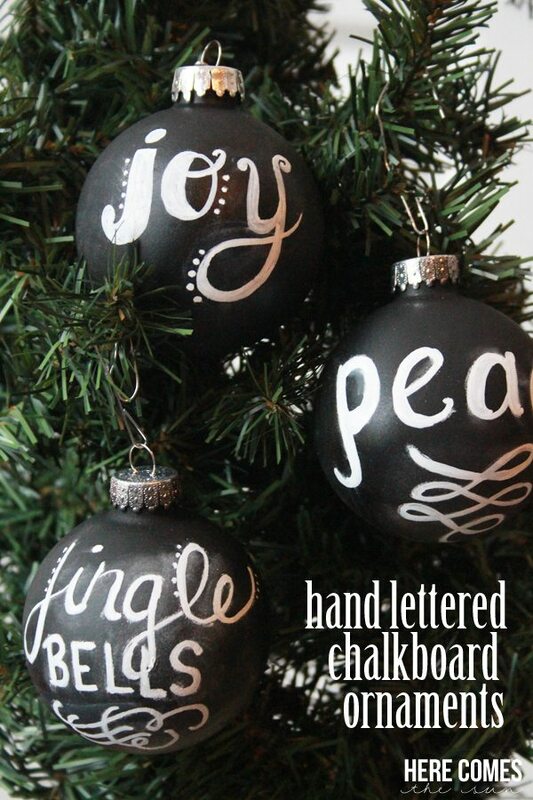 Here is how you can make your own hand lettered chalkboard ornaments. I’ve included affiliate links below so you can purchase the supplies, if needed. 1. 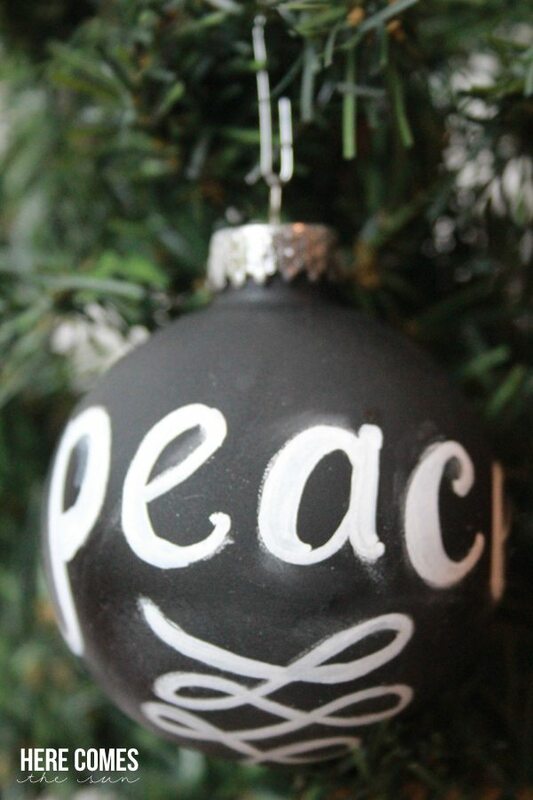 Paint your ornaments with chalkboard paint. I like to use spray paint to avoid brush marks. 2. 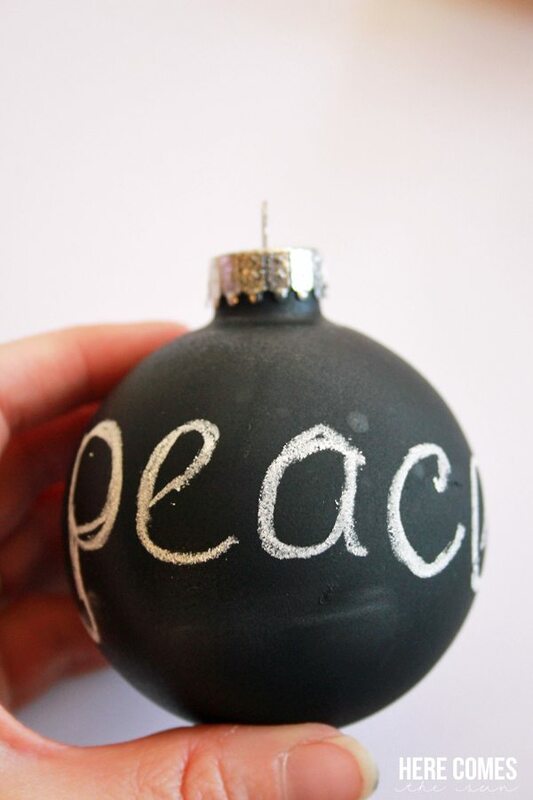 After the ornaments are dry, sketch out your basic design with chalk. Chalk erases easier that chalk markers so that is why I used it to sketch first to erase mistakes easier. 3. Using your chalk marker, trace over your chalk lines and use a Q-tip to erase the chalk lines if necessary. Then, thicken the downstrokes of the letters to get that hand lettered look. 4. 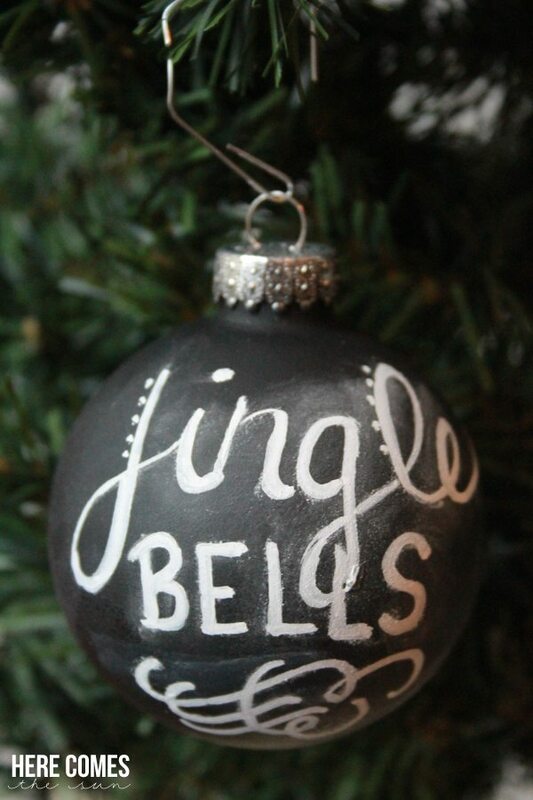 Add a few swirls and embellishments and you’re done. It doesn’t have to be perfect. Don’t worry if it looks a little smudgy around the letters. That’s the beauty of chalkboard art. Chalkboards are always dusty and smudgy! 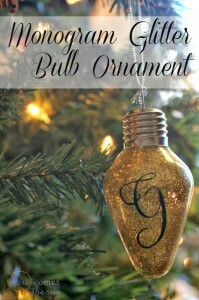 I love our new additions to our ornament collection. The kids decided to hang these on their tree this year since our main tree is a coastal theme. 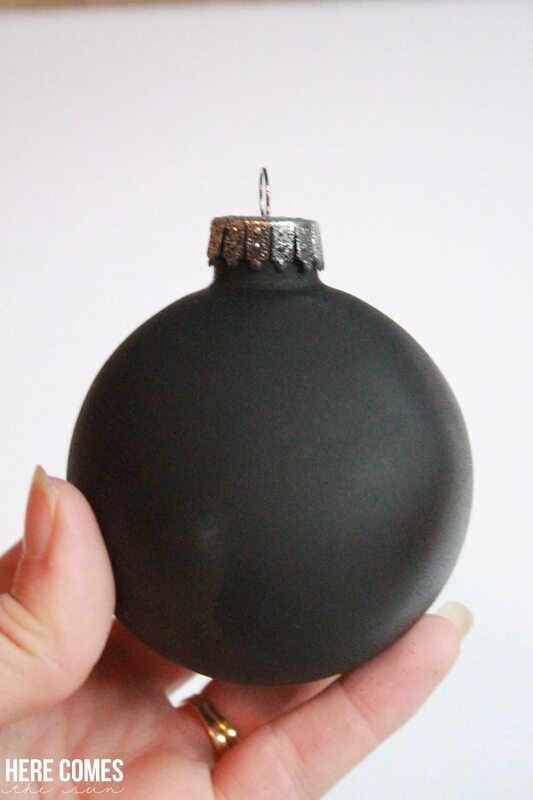 Do you have a favorite Christmas ornament that you have made? Are you going to take a shot at hand lettering?